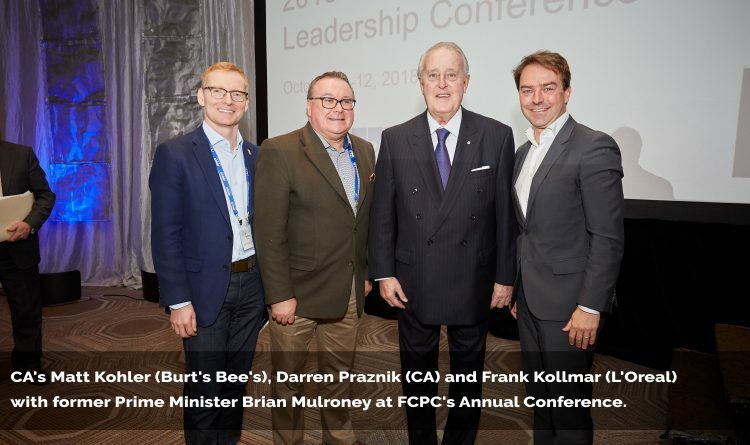 CA President Darren Praznik participated in FCPC’s annual conference which featured an engaging line-up of speakers and panelists including CIBC’s Deputy Chief Economist Benjamin Tal, retail and consumer futurist Doug Stephens, and environmental expert and author Tristam Stuart. The conference highlight was a discussion with former Canadian Prime Minister Brian Mulroney who provided a history of the original NAFTA negotiations and his assessment of the re-negotiated agreement. He was quick to credit Prime Minister Trudeau with having put together negotiating team that did a “top-flight job for Canada” and met our country’s main objective of protecting and preserving the North American trading zone and Canada/U.S. trade.